Providing affordable plumbing services to Springdale, Bentonville, Fayetteville, & Northwest Arkansas for over 25 Years. When you need a plumber, it's important to choose a reliable and professional contractor. You need a plumber who can offer you residential and commercial plumbing services that are guaranteed to leave you completely satisfied. You need Farwell Plumbing. For over 25 years, Farwell Plumbing has been serving northwest Arkansas with honest, dependable service, and you can count on us to continue this tradition. Our trucks are stocked with a large inventory of commonly needed parts. This enables us to serve you as quickly as possible, so you can get on with your life. We are a full-service plumbing company, specializing in service and repair. No job is too big and no job is too small: We can fix a dripping faucet or re-plumb your entire home. Call today for more information. When you have a problem that requires immediate attention, we can help. With reliable emergency service and prompt, professional assistance available 24 hours a day, seven days a week, we are here when you need us the most. We are licensed, bonded and insured for your protection! For prompt, courteous service, call us today! "A broken valve woke me up at midnight. Bathroom completely flooded and I was hysterical. No kinder words were heard than 'I will be right there.' You came and shut the water off to the house..taught me how to in the future and fixed the toilet, at 2 am!" "Very polite young men. Went the extra mile to find the leak. They explained everything to me in language I understand (no plumber lingo) and didn't make me feel like an idiot. Great plumbers, they're my permanent plumbers now!!!" "I am so grateful for Farwell Plumbing! They kept there commitment to make it to my home today, when many would have asked to reschedule for tomorrow. They were professional, made the necessary repair and offered a proactive solution. Farwell Plumbing has my business! 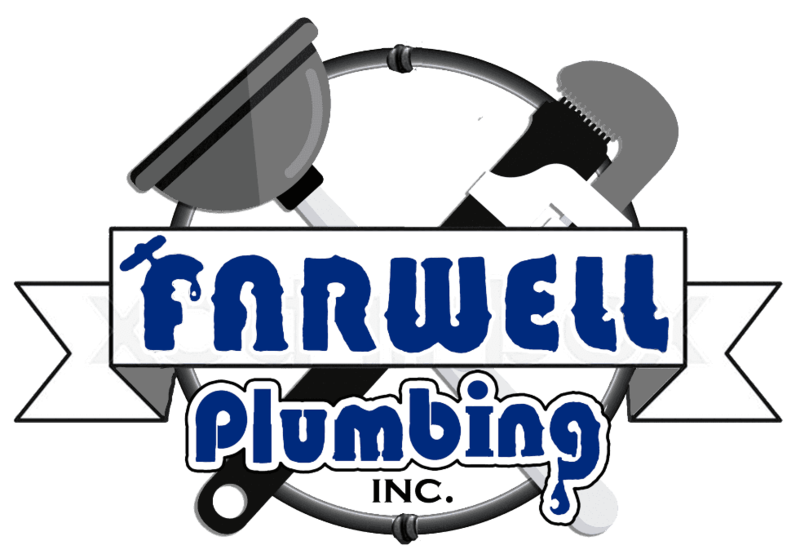 Farwell Plumbing offers top quality expert plumbing services to all residents and business owners in the Northwest Arkansas area. Our clients have nothing but high praise and glowing reviews. We're well-equipped with the latest technology. Our team provides professional plumbing solutions to all our clients including retail locations, apartment buildings, restaurants, and office buildings. Our vast range of services will allow you to relax, knowing that everything is taken care of for the smooth running of your business or home. Copyright © 2017 Farwell Plumbing Inc.